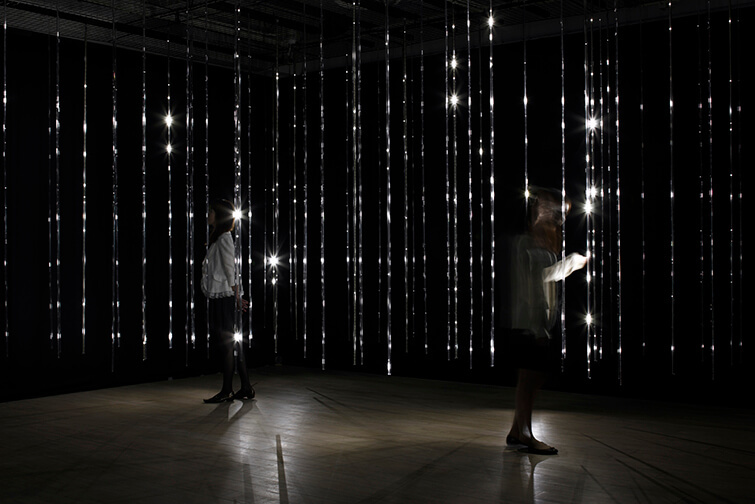 Infinite space is produced from the behavior of light, featuring the radiance and motion of white light as it continually changes in a random way like rain. 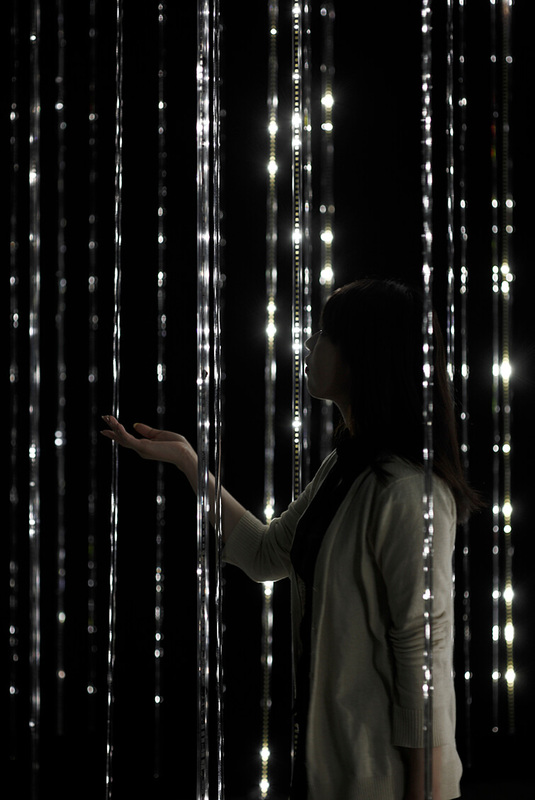 LED and acrylic bars are suspended randomly throughout the space, with light reflecting on transparent acrylic to produce a texture like vibrant drops of light. 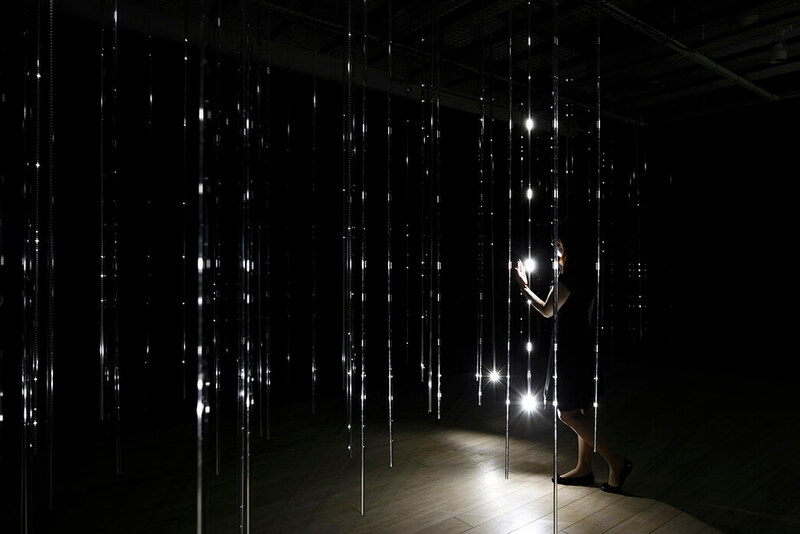 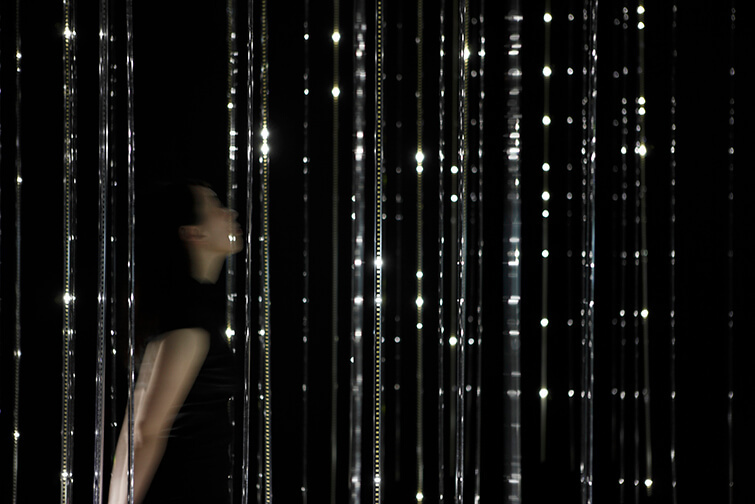 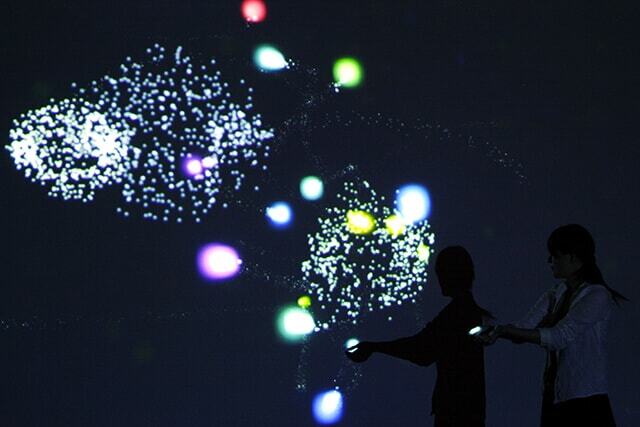 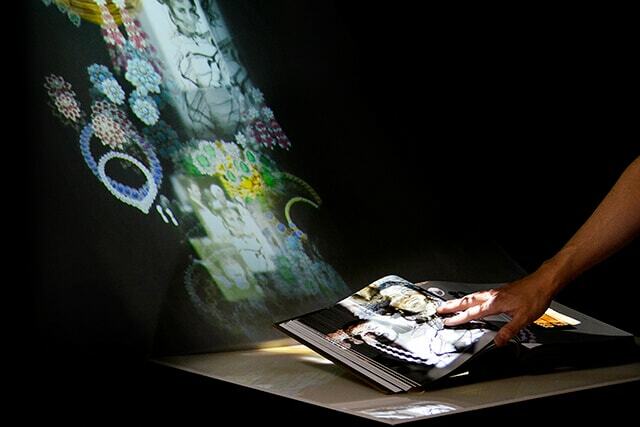 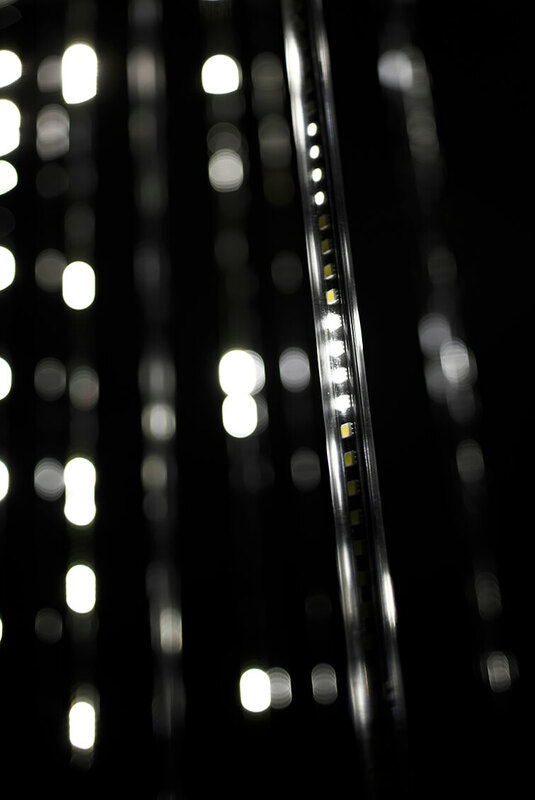 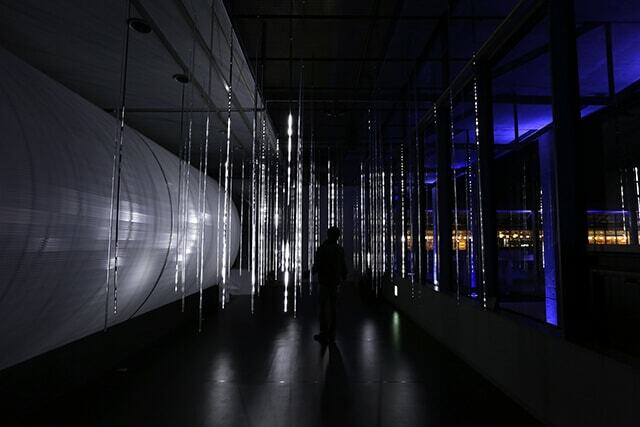 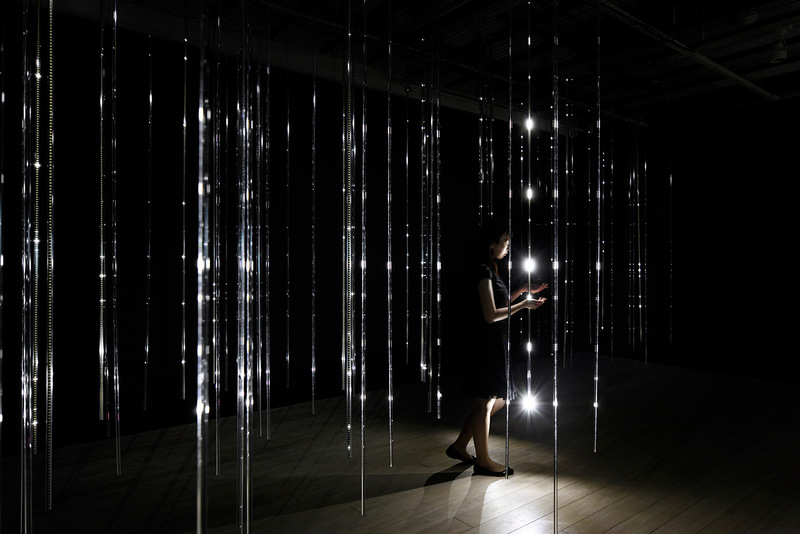 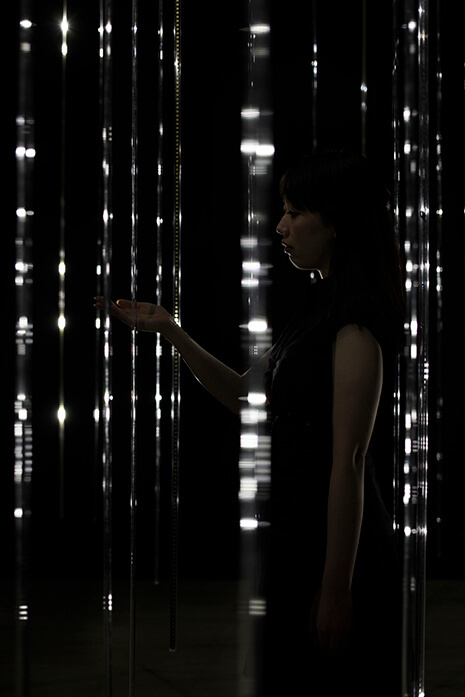 Using software-controlled gravity, a random physics algorithm and an independently developed LED device, the behavior of a subtle rain of light is produced in real-time and stronger rain of light pours down around the person as one approaches.